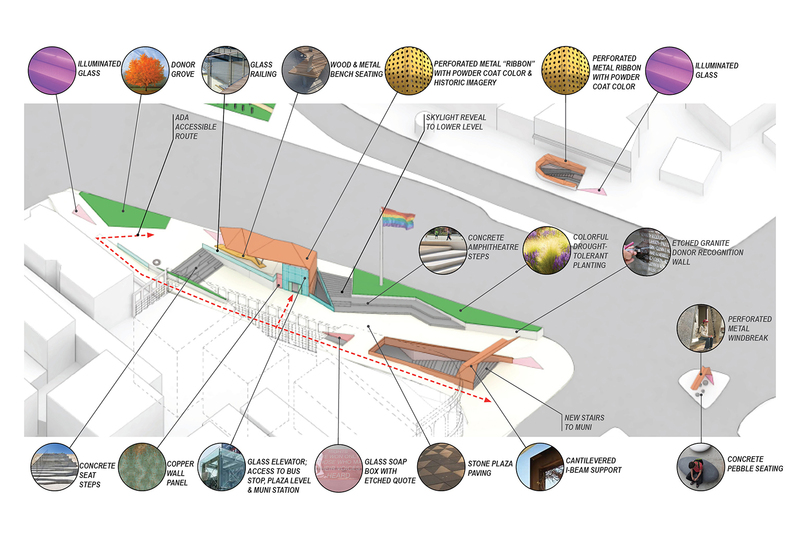 In November 2016, Friends of Harvey Milk Plaza engaged the American Institute of Architects San Francisco (AIASF) to partner on a Design Competition to generate interest, ideas and visions for what might be possible at Harvey Milk Plaza and select the design team to work with FHMP, the community and city. 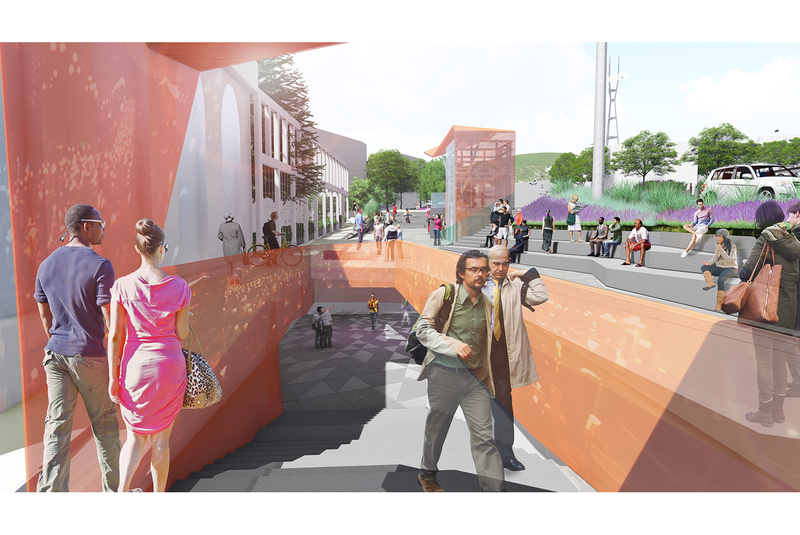 RHAA collaborated with Kuth Ranieri Architects & Catherine Wagner Studio on the competition submission. 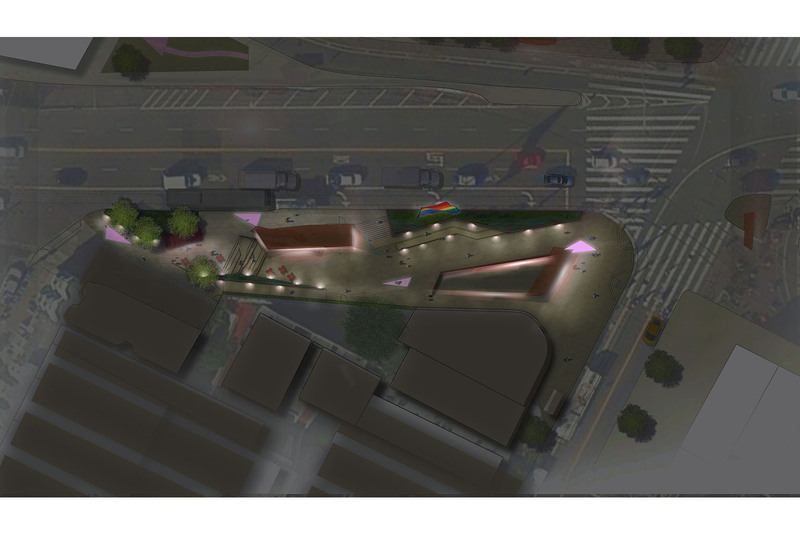 The design competition intent was to generate interest, ideas and visions for what might be possible at Harvey Milk Plaza and to select the design team to execute the selected design. 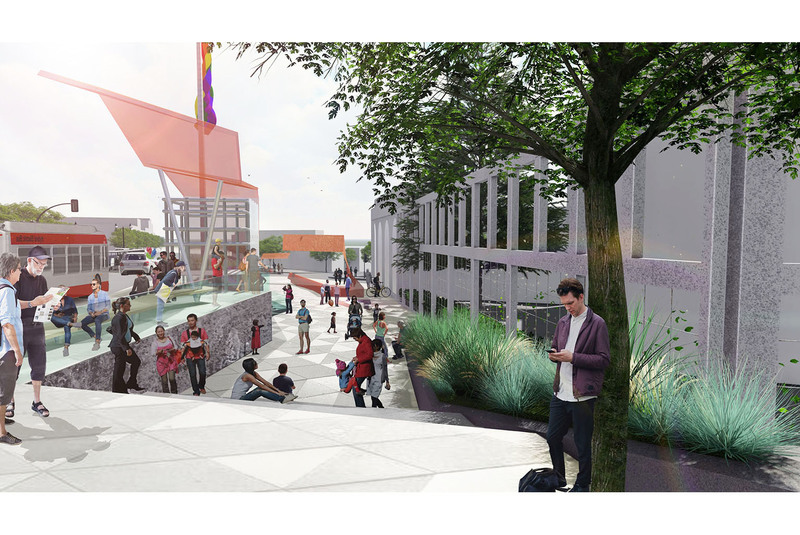 The team envisioned a welcoming door to the city’s historic Castro District and a destination to learn about the life (and times) of Harvey Milk. 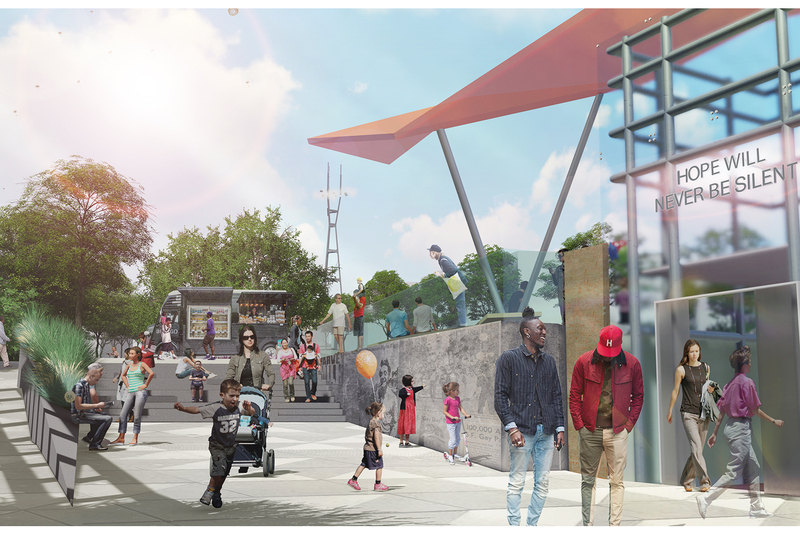 RHAA’s design was selected as one of three finalists to expand upon and present the design to the public.